It been a while since my last new Dragonfly Flipz™ Book. I've been busy securing gainful employment and I'm happy to say with I've had some success. 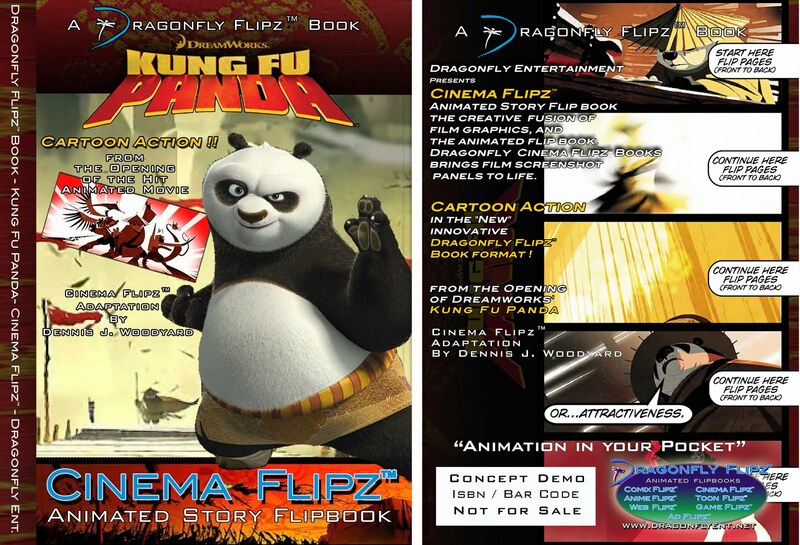 So, I'm hoping to get back to produce more Dragonfly Flipz™ book "Concept Demo" samples (not for sale, as always). Here's a preview of the next one, the Kung Fu Panda Cinema Flipz™. I started this after the release of the film last year. I wanted to do it as a tribute to my friend Cyrus Voris, who was one of the co-writer of the story, and the artists who worked the film. But, after a couple of rejections of Dragonfly Flipz proposals for other properties, not Kung Fu Panda, I pulled back from doing Concept Demo books. Now, I'm ready to give it another try. I've got a couple of Dragonfly Flipz books started, several other flipz book ideas worth doing. 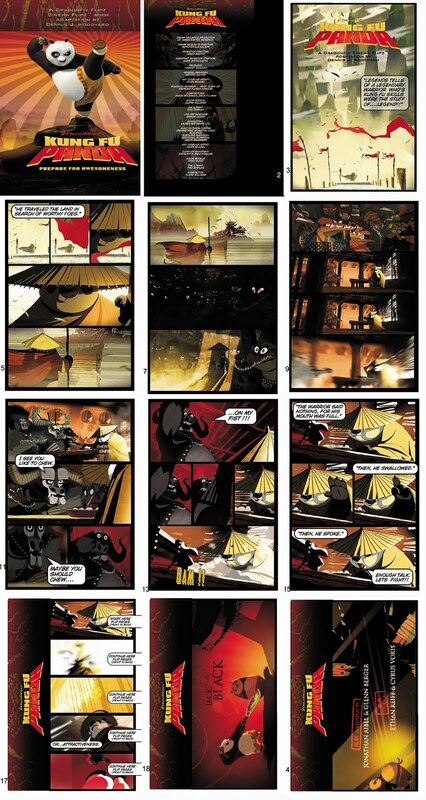 Click on the picture for an enlarged view of the first ten "comic book layout" pages and the first flip book page, and two art gallery pages. I plan to finish printing the book this week and have a video posted on youtube by next week end. Back in April I posted a Dragonfly Flipz Book video on Youtube of a Valiant Comic Magus the Robot Fighter flip book I made form a unused video promo. 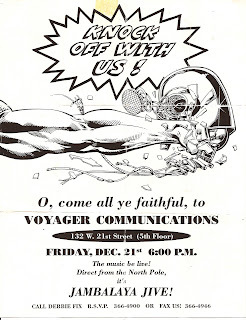 I mentioned it was based on a Christmas party invitation Valiant had sent me. Well, I found it in my old files and thought I share it here. 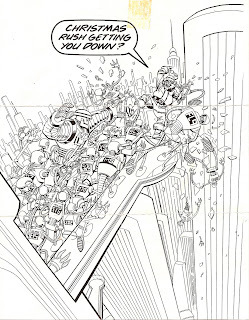 The original art by Art Nichols, one of Valiant's core artist. You can click on the images for a supersized closeup. Enjoy.